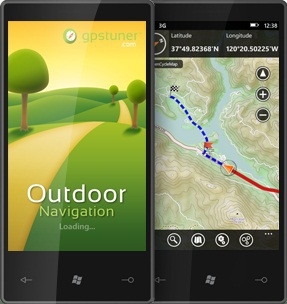 Outdoor Navigation, a new app released for Windows Phone, is a great mapping tool for those that love the outdoors. The app allows track recording, route planning, any many other features. The app looks very polished and is available in the marketplace as a trial or a full version for $4.99. Hit the link for more information. Slick! I know there were similar apps in the Windows Mobile days, but every one I saw was so darn ugly...I never wanted to use it. This one looks great!